Refutation of Menger. Click here. Then please donate $10 to the Institute. The paper points out that even within the framework of Menger’s scheme, there are two fatal flaws. First the circularity of his reasoning in determining his causes of liquidity, which arises from his use of the “development of the market and of speculation in a commodity” as a cause of liquidity, when in fact it is a definition of liquidity and even Menger uses it as such. Second, the paper points out that within Menger’s scheme, it is not liquidity, but volatility (or lack of it) which is much more important. The paper shows that some of Menger’s closely held general views of the stability of gold and silver and their universal use as money, are simply false. In addition the existence of the millennia long dichotomy in the gold-silver ratio between east and west, which Menger seems to be unaware of, appears sufficient to doom his theory. The paper presents some of the factual evidence gathered by William Ridgeway, in the ORIGIN OF METALLIC WEIGHTS AND STANDARDS; by A.H. Quiggin in A SURVEY OF PRIMITIVE MONEY; by Paul Einzig in PRIMITIVE MONEY; and by Bernard Laum in HEILEGES GELD; all as an indication that an institutional origin of money, whether religious or social, is much more likely to have occurred than Menger’s assumed market origin. The Continuing Importance of Menger’s Theory of the Origin of Money is demonstrated in recent books by the way that Austrian/Libertarian authors supporting Free Banking usually begin by asserting Menger’s theory as accepted wisdom. Robert Nozick used Menger’s “Origin” to launch (p.18) his book, Anarchy State and Utopia, a Libertarian “bible” that put Libertarianism back on the intellectual map in 1974. A chief failure of economics is its continuing inability to define a valid concept of money consistent with logic and history. Since money touches every aspect of economics, this indefiniteness has spread to other aspects of the science, leading to basic moral and political questions as the proper monetary role of government and of institutions such as the Federal Reserve System. It is still being argued whether the nature of money is a concrete power, embodied in a commodity such as gold; or whether it is an abstract social invention – an institution of the law. Does it obtain its value from the material of which it is made, or from its acceptability in exchanges due to the sponsorship or legal requirements of the government? Or is it some kind of hybrid “economic good” starting as a valuable commodity and evolving “in its more perfect forms” into a socially valued token? These questions are of great practical importance, and lead directly to conclusions about the proper role of government in monetary matters; will shed light an whether the power to create and control money should be lodged, as at present in an ambiguously private issuer – the Federal Reserve Systems member banks. An accurate concept of money will indicate whether “free banking” should be promoted, tolerated or should be strenuously blocked. For if money is primarily a commodity; which is convenient for making trades; which obtains its value out of “intrinsic” qualities; then it can be more a creature of merchants than of governments. It becomes possible to regard its evolution as some unconscious process, not involving human planning or institutional decision. For example no decision would have been made that wheat, or apples were valuable as food – they simply were, and over time it would have become apparent to all, either through experience or example. On the other hand if money in its origins and development, or even just in its most perfect forms, is properly an abstract social institution embodied in law – i.e. a legal institution, then it is more a creature of governments than of merchants. Its evolution and possibly even its origin would have been matters of conscious decision, whether by ancient temple cults, governments, or merchants. It would have been one of the greatest human inventions. The Theoretical Method: Using a’ priori principles held to be accurate, deductive reasoning has been applied to the questions surrounding money. This would be embodied in what von Mises called “praxeology”, wherein “The proof of a theory is in its reasoning”[i]. This is the time honored method of mathematics, and is important in moral reasoning. It is a primary tool of the Austrian school. However it is not especially useful in discovering historic events. Thus while it can be helpful on some aspects of money, it may not help much with the origin question. Empirical Method: Based on observation and cataloging of data and on experimentation if possible, under controlled, repeatable conditions, where variables can be observed and their effects noted. Logical reasoning is applied to the data to “explain” them by theoretical constructs. More often than admitted the theoretical constructs come first, with researchers later searching out the facts. The great advances in the physical sciences of the past three centuries are laid to the empirical approach or the scientific method. 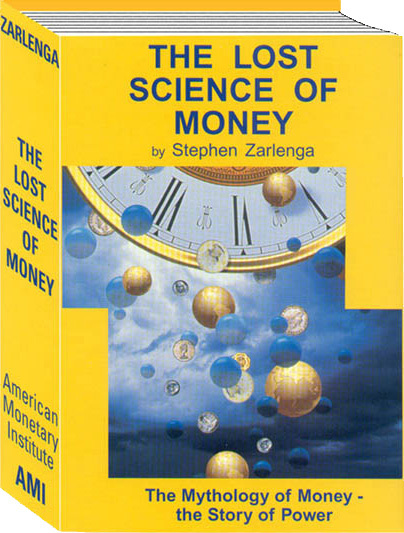 In the study of monetary systems this approach must rely on history and in some cases on archeology and numismatics for the observed facts, for two reasons: first, only history provides mankind’s actual experience with money; secondly, as the effects of monetary systems often require several generations to become apparent, a monetary system must be observed over time for its good or bad effects to become known. Note that we have introduced a moral criteria in the evaluation of monetary systems, to which we shall return. Now applying the Scientific Method to historical study is limited. Experiments can’t be created where variables are controlled. Still, the historical facts contain the data to which theoretical constructs must conform. William Ridgeway, Alexander Del Mar, George Knapp, and at times Milton Friedman have been among those utilizing an historical or archeological approach. One reason for this friction is that normally historicists reach an abstract view of money, and conclude that government has an important role in monetary matters; and normally those who conclude that concrete or economic aspects put money primarily in the realm of merchants, are theoreticians. With this introduction, we are better prepared to consider Carl Menger’s effort in THE ORIGIN OF MONEY, published in June, 1892. While the origin of money need not necessarily answer our questions on the nature of money, it might at least provide valuable clues. On examination however, and contrary to normal expectations from the title of the piece, Menger’s effort does not utilize an empirical approach, in any except the most superficial sense. This becomes clear when Menger makes no mention of places or times, in support of his thesis, even generally. Indeed the only historical references are footnoted away to one of his earlier works, PRINCIPLES OF ECONOMICS[vii], and only a few pages are referenced. Upon examining them we find brief descriptions of various commentators views on the origin of money, including Plato and Aristotle from antiquity, and Paulus from the Byzantine Roman Empire. The list continues through the commentators of the middle ages, But these views as Menger correctly points out are based on Aristotle, and bring nothing new to the study. In the referenced Menger work, he finally comes to what he considers historical support for his thesis, but in order to read it we are again footnoted off to yet another work, John Law’s MONEY AND TRADE CONSIDERED. Only a few pages are indicated, but Menger assures us that law has correctly figured out the question and is therefore the originator of “the correct theory of the origin of money”, which coincides with Menger’s. Here we observe a rhetorical device Menger has employed. Had he plainly stated in his theory article, that John Law’s “origin” was the same as his, many readers would react negatively, because of Law’s reputation as having destroyed France’s monetary system in the 1720′s. There are only 4 pieces of what could be considered historical evidence presented by Menger – the first three being the commentaries of Plato, Aristotle, and Julius Paulus. All three of these sources describe systems and concepts 180 degrees counter to Menger’s thesis. These authorities were closer to the ‘origin’ event than we are, and we may reasonably expect them to have been aware of whatever accounts were available in the literature coming down to them regarding the possible origin of money. Literature which may have been lost to us through the extensive censorship of Greek and Roman works by Imperial Rome, or in the sacking of Byzantium. That such censorship occurred in the monetary area appears likely. For example, in the Athenian Constitution coming down to us, we can find out how the garbage was collected, but we will search in vain to learn how Athens state coinage system was run. Even barring that possibility, these three observers, being from an early period (4th century BC, and the 4th century AD, their accounts of their own systems could lend valuable clues. Thus Menger is incorrect when in endnote 5, P.21 of the Origin of Money, he claims nomisma is based on the shape of the coin. The crucial nature of this “error” does strain belief. This historical evidence against his position does not phase Menger in the least. “tested more closely, the assumption underlying (the governmental origin of money) gave room to grave doubts…(as) no historical monument gives us trustworthy tidings of any transactions either conferring distinct recognition on media of exchange already in use, or referring to their adoption by peoples of comparatively recent culture, much less testifying to an initiation of the earliest ages of economic civilization in the use of money.”(p.7, emphasis added) We aren’t told exactly who had these “grave doubts”. Apparently then, Menger accepts the importance of factual historical evidence, and even demands it from competitive theories! But he presents this evidence not to support his theory but to undercut his opposition. Thus we can argue conclusively that Menger arrives at his thesis only through theoretical, not historical facts, and does so in spite of those historical indications available to him. It should be significant for modern researchers who embrace Menger’s work; and of relevance to our initial questions, that even assuming Menger was correct, the government is involved in money at a very early period, in all likelihood, just before the actual introduction of coinage. Menger may have been aware that there are no monuments – no identifiably merchant coins extant whatsoever in the disciplines of archeology, or numismatics. Furthermore, the reason he postulates for government involvement, is not nefarious, but due to the great significance the money designation has upon practical life. Champions of Menger have taken neither of these points to heart. For Menger to attempt to discern an historical event, or even an historical process utilizing only a’ priori reasoning must have taken some daring. Logical reasoning alone is not a promising approach to such questions, which involve numerous specific time, place, and cultural variables, of unknown importance. Logical reasoning can be used to explain how and why factual events are related and develop; it can point to areas where subsequent observation can establish facts; but logical reasoning in itself cannot establish or discover the fact. That must be done by observation. There is a degree of circularity of reasoning in Menger’s causes of liquidity and time and place factors. Remember, he is supposed to be defining causes of liquidity of a commodity, not causes of acceptability of a money. Of Menger’s 6 causes (see Appendix 1), points 1,2,and 6 really reduce to one point – the effective demand for the commodity. Point number 2 furthermore should have referred to the trading power rather than purchasing power, as he is discussing a pre-monetary situation. Cause #6 would be entirely reflected in the effective demand. Causes #3 and #4 are reducible to the supply of the commodity. So we are left with 3 causes of liquidity – supply, demand, and his cause #5, the development of the market and of speculation in the commodity. But the quantitative factor is a part of cause number 5 – the development of markets. Thus the tight spread and volume traded in the market (quantity) becomes his definition of liquidity. Thus liquidity, by one defining element of it (development of market mechanisms) causes liquidity by another defining element of it (the tight spread). referring to the increased liquidity which a money commodity would exhibit by virtue of its becoming money. We are considering its liquidity before it would have become money. Thus to really explain a commodity’s liquidity, he would have to explain why supply, demand, and markets develop for a commodity. If you use only liquidity to explain them, you are in a circle. We know why markets develop for cattle or wheat. But has Menger really explained why markets would have developed for “These little discs… which in themselves seem to serve no useful purpose” (His words, P.6) except if they were already money? Menger’s use of the spread as the measure of liquidity, and therefore the money determinant, because of the ability to realize ‘economic’ prices for goods traded in markets would only be one factor, and primarily a short term one. Probably a more important factor is volatility, or rather the lack of it – stability. Consider the two hypothetical situations as depicted in graphic form below. Commodity A has a tight spread – high liquidity according to Menger, but a “value” in terms of another commodity – say wheat or olives – which fluctuates substantially over time. i.e. it has a high volatility. Assume the quantities traded are “adequate” and substantial. While commodity A is more liquid by Menger’s definition, clearly commodity C could be more convenient and suitable as a commodity money candidate for a given society, because its price is much more stable. Thus the spread alone, may not determine which commodity evolved into money, since spread alone, or liquidity alone cannot determine or cause stability, and stability can clearly be a more important factor for realizing “economic prices” than the spread. This stability factor could then foster liquidity. Other factors than the spread would have an influence on the evolution of a money commodity. If the objection is made that the situation depicted above could not exist for a’priori reasons, it could only be on the grounds that a tight spread must be accompanied by low volatility. But it can be argued that in a primitive situation, locally produced and consumed goods such as cattle and grain, would tend to be less volatile especially in relation to each other, than goods such as precious metals, that are more likely to be dependent on more sophisticated, even foreign markets; more sophisticated means of transport; and more sophisticated and possibly more capricious traders/arbitrageurs. To this must be added the extra-cultural factors, and the potential for cultural/societal conflict or even warfare in an international setting. This could be altered if a major force or forces in the markets, price fixed the precious metals, gold in particular, against a local commodity , and then used its deep pockets and/or political power to maintain that fixed parity, whenever challenged. This would be especially effective if the commodity against which it fixed gold’s value, were the dominant money commodity already selected by a society, such as cattle. We’ll discuss empirical evidence below that something like this may have occurred. Menger’s 2 sentence discussion of Aristotle’s and Xenophon’s observations that precious metals were steadier in price than other goods, completely misses the point that gold and silver were already being used for money. Thus the observations do not apply to them as commodities evolving into a role as money, but to commodities which were already money. Note that Menger deals with the stability factor as separate from the liquidity factor. In fact, historical experience with the precious metals, in cases where they were and were not money, has demonstrated both periods of abrupt short lived changes in value in terms of other commodities, and of long drawn out changes where gold and silver lost as much as 80% of their value, and never recovered it. This volatility has increased in the 20th century. For more recent periods, when for all practical purposes, gold had lost its governmental sanction as money, it became even more volatile. From 1971 to 1974 we saw gold increase over 500% from $38 to $200 an ounce. In 1975, we saw gold drop almost exactly 50%, from $ 200 an ounce to $103. We then saw an increase of over 700% to over $850 an ounce, and then a multiyear decline to $232. Now its reached $570 an ounce! It’s not possible to explain these movements as just due to changes in the dollar. Gold is volatile! In addition, Menger’s statement on the stability of the ratio of exchanges of the precious metals and other goods, would require a similar stability in the gold-silver ratio. Menger is apparently unaware of the great dichotomy in the gold – silver ratio itself, between east and west. Thus gold and silver were far from universally used as money among advanced nations. Perhaps not coincidentally, Menger’s Origin of Money, reworked from an earlier book, was issued in the same year that Sir William Ridgeway’s The Origin of Metallic Weights and Standards was published. Ridgeway’s work, making extensive use of archeology, numismatics, and historical documents, indicates an institutional origin of money rather than a market origin, and has become a classic in the field. of oxen was more normal in this advanced area. Here then may be the historical “monuments” giving us “trustworthy tidings” of a transaction conferring distinct recognition on media of exchange. Ridgeway considered this phenomena to represent a merging of two traditions, with the gold unit being based on the ox/cow unit. Sometimes the coins had representations of an ox on them. Why 130 grains? Ridgeway speculated that this was about what would fit in the palm of your hand. A coin that was not so small as to be easily dropped or lost; nor so large as to employ more gold than necessary, to be convenient. The importance of this to Menger’s thesis is that this 130 grain standard was a “convention”, and not just of one government, but of several of them. Menger would have to argue that the gold had already become a money commodity before the states took over. But cattle was already there as a money unit. If gold was in the process of supplanting the old money unit, without institutional conventions, there is no way to explain the international 130 grain consistency. If it had already supplanted cattle, there is no reason for it to symbolize or represent a cows value. What it may really represent is a way to give 130 grains of gold, the stable value of a cow! We recognize the limitations of this anthropological approach – it is not possible to establish history through such contemporary studies – but the evidence mounts up. That ends our critique of Menger’s Origin, or perhaps it is more accurate to say our refutation of Menger’s theory. This has deeply negative implications for the Austrian School, for the Libertarians, and for the free bankers, which they would be well advised to investigate now. Most of them begin their monetary expositions with reliance on Mengers theory. We have called Menger’s theory on the origin of money into question on methodological , rational, factual, and anthropological grounds. We have shown that he proceeded using only deductive logic, and have noted the problems with doing so. On rational grounds, we have shown a circularity of his reasoning in his determinations of liquidity, and have called into question his use of liquidity rather than volatility as the primary factor determining the evolving of money, even within his system. On factual grounds, we have shown that some of his closely held general views of gold and silver money are incorrect, and we have presented and referred to factual evidence which indicates an alternative (and more probable) path to the development of money. From Menger’s ORIGIN OF MONEY, available as monograph # 40, from the CMRE, BOX 1630, Greenwich, Conn. 06836. 1. Upon the number of persons who are still in want of the commodity in question, and upon the extent and intensity of that want, which is un supplied, or is constantly recurring. 3. Upon the available quantity of the commodity in relation to the yet unspoiled (total) want of it. We may proceed in the same way in which we considered the liquidity of commodities at definite markets and definite points of time to set out the spatial and temporal limits of their liquidity. In these respects also we observe in our markets some commodities, the liquidity of which is almost unlimited in space or time, and others the liquidity of which is more or less limited. 1) By the degree to which the want of the commodities is distributed in space. 2) By the degree to which the goods lend themselves to transport, and the cost of transport incurred in proportion to their value. 3) By the extent to which the means of transport and of commerce generally are developed with respect to different classes of commodities. 4) By the local Extension of organized markets and their intercommunication through arbitrage. 5) By the differences in the restrictions imposed upon commercial intercommunication with respect to different goods, in inter local and, in particular, in international trade. 1) By permanence in the need for them (their independence of fluctuation in the same). 2) Their durability, i.e. their suitableness for preservation. 3) The cost of preserving and storing them. 4) The rate of interest. 5) The periodicity of a market for the same. 6) The development of speculation and in particular of time bargains in connection with them. 7) The restrictions imposed politically and socially on their being transferred from one period of time to another. Dear Reader- be sure to read our critique of Menger’s points here, where we show how they all reduce merely to supply/demand. [i] Von Mises, Ludwig. Theory of Money & Credit. 1912. Capetown: J.Cape, 1934, p.82. [ii] Quiggin, A.H. Survey of Primitive Money. London: Metheun, 1949, p.12. [iii] Von Mises, Ludwig. Cited above,p.478. [iv] Del Mar, Alexander. History of Monetary Systems. 1895. Repr., NY: A.M. Kelley, 1978. p.101. [v] Knapp, George. State Theory of Money. 1905. London: on behalf of Royal Economic Society by Macmillan, 1924, p.vii. [vi] Menger, Carl. Origin of Money, C.M.R.E. monograph # 40, 1984. translator not noted. [viii] Law, John. Money and Trade Considered. London: W. Lewis, 2nd edit, 1720. [xiii] Jevons, Stanley W. Money and the Mechanism of Exchange. 1875. NY: Appleton, 1897, p. 313-330. [xiv] Friedman, Milton and Anna Schwartz. A Monetary History of the U.S. 1867-1960. Natl. Bureau of Econ. Res., Princeton Univ. Press, 1971,p.195-209. [xvi] Zarlenga, Stephen. The Lost Science of Money. 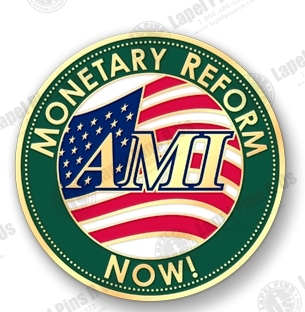 NY: American Monetary Institute, 2002, Chapters 1-3. [xvii] Del Mar, cited above, Ch.5. [xviii] Del Mar, Alexander. Middle Ages Revisited. NY: Cambridge Encyl., 1900, appropriate chapters. [xix] Peruzzi, Emilio. Money in Ancient Rome. Academia Toscana Di Sciencze E Lettere, 1985. [xxi] Ridgeway, William. Origin of Metallic Weights and Standards. Cambridge, 1892, p.155. [xxiii] Laum, Bernard. Heileges Geld. Section trans. by Stephanie Watjen.Tubingen: J.C.B. Mohr, 1924. [xxiv] Quiggin, cited above, pages noted in text.